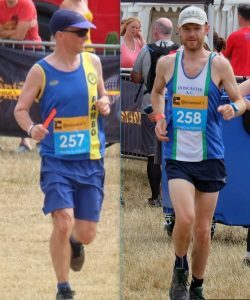 Club Championships – The next event is the Newark Half Marathon on 12th August. Please send any race reports to Martin James, bit short on time at the moment so just listing results for recent events, well done all. 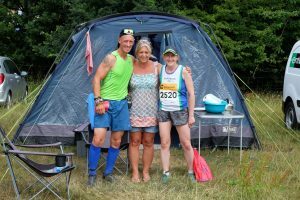 24 hours of running at a great event, this year we had 3 members take part. It was a complete change from last year where it rained for the entire race, this year we were still in a long dry heatwave. Our solo runner, Martyn Kellett completed 8, 10km laps. Running in a male pair with a running friend from Danum Harriers, team Rambo and Vickers completed 19 laps. Well done Chris and Peter. Rose James helped make up a Lincs Squad team (invited by Graham Ellwood) and the team completed 23 laps. Not much water in the River… Next race 13 August 2018. 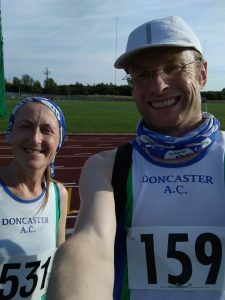 Martin James and Rose James traveled over to East Cheshire Harriers to compete inthis event. Rose ran as a guest so was not eligible to medal, which is a shame as she would have got silver for F35. I was delighted to get gold M40. Rose ran 23:11 and Martin ran 18:18 on a very warm evening. Win for Jonathan FRARY. Course age group record for Phil BUSSEY (happy birthday), 1st and 2nd for George PHILLIPS, Joe PHILLIPS. Not parkrun related but look up Phil Bussey up on power of 10 and his run last weekend at Grimsby ranks him 2nd V70 man in the country! First timers were George PHILLIPS, Joe PHILLIPS, Edward PHILLIPS, Bill TOPPING, Eddie FLETCHER, Dawn FLETCHER, Kevin BRENNAN.